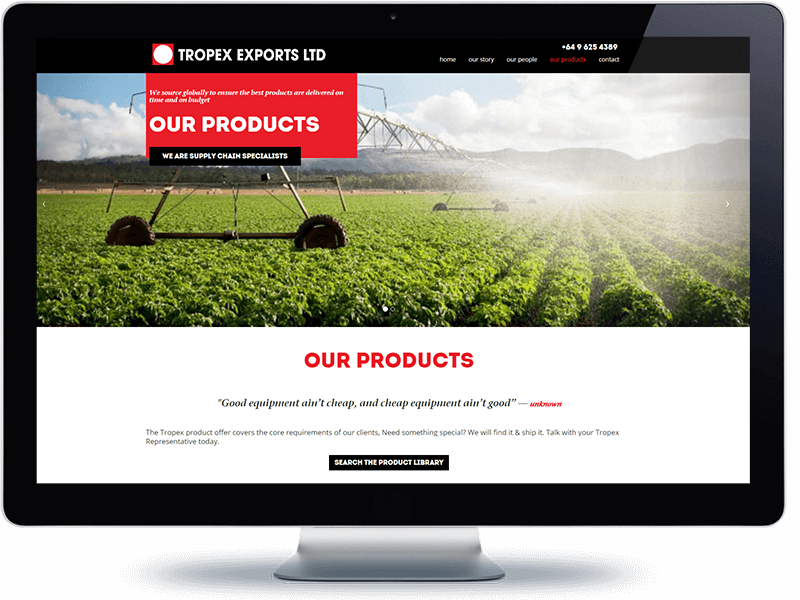 Tropex Exports is a privately owned business; established in 1968 to provide representation for manufacturers exporting to the Pacific region. 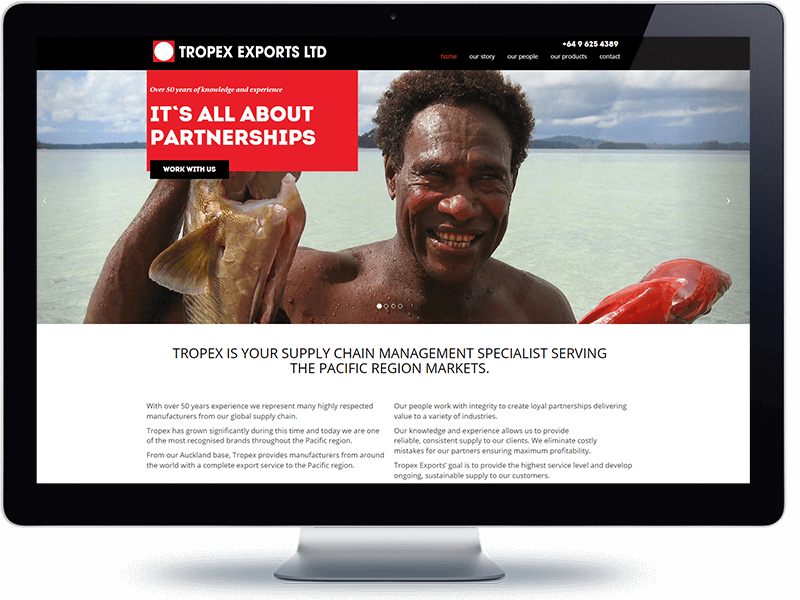 Since the business was established, Tropex has grown significantly and today they are one of the most recognised business brands throughout the Pacific region. 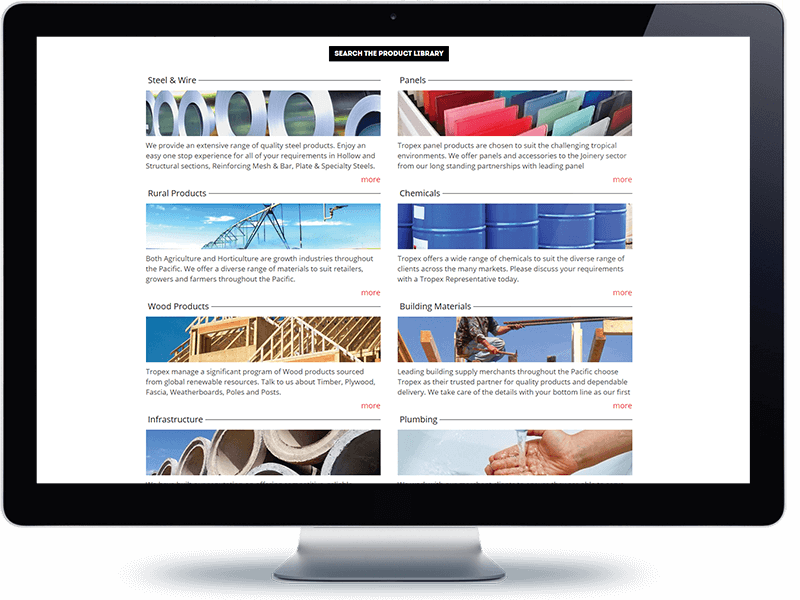 The Koda team worked with the Tropex designers to develop a design for the new website that differentiated them from their competition, incorporating large images associated with parallax functionality the new design provides an intuitive user interface that allows visitors to get to the data they are seeking easily. 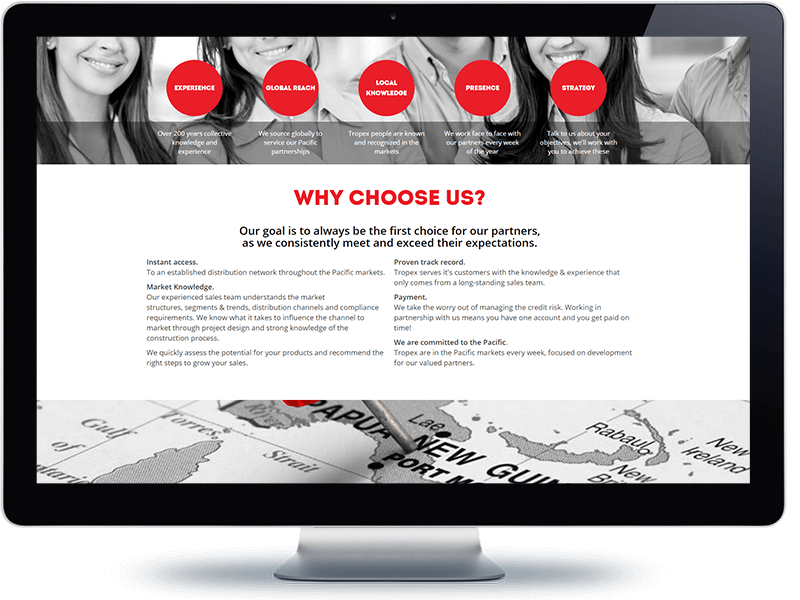 The site includes a comprehensive library of data that is easily searched providing access to associated product PDF brochures.